Ann Arbor, MI, March 01, 2018 –(PR.com)– AdAdapted, a leading mobile advertising solution for Consumer Packaged Goods (CPG) brands, is excited to announce a partnership with Out of Milk, one of the top mobile grocery list apps on both Android and iOS. AdAdapted’s technology is currently integrated with dozens of popular grocery apps, including six of the ten highest rated list apps in the US, and this network is rapidly growing. Out of Milk is definitely a big win for the AdAdapted team and the AdAdapted/Out of Milk partnership is a big win for CPG brands, simplifying the mobile app space and making it easy for CPGs to make an impact with grocery decision makers. AdAdapted’s exclusive network currently includes widely used apps like Out of Milk, Our Groceries, Buy Me A Pie and Big Oven to name a few. “Shoppers plan on mobile now. 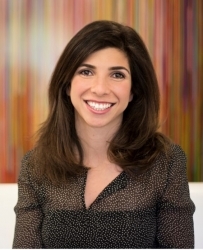 AdAdapted wants to help CPGs make a meaningful connection with their consumers while also helping consumers build their digital shopping lists more efficiently. We are excited to hit this partnership milestone and grow the AdAdapted network. We look forward to a great deal of success working alongside Out of Milk,” said CRO and Co-Founder of AdAdapted, Molly McFarland. With their exclusive network of apps and proprietary technology platform, AdAdapted provides CPG brands a venue in which they can reach a mobile audience as they make shopping decisions. With unique, native ads, app users experience a non-disruptive, targeted ad experience. AdAdapted’s platform targets consumers based on things like category engagement and past shopping behavior, and allows consumers to add promoted products to their favorite list from an ad unit. This means for the first time CPGs can measure intent for in-store purchases in real time and no longer have to guess if they reached the right person or if their ads made an impact. This new integration brings CPG brands access to one of the largest grocery list apps in North America. 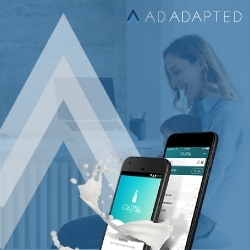 AdAdapted is the exclusive partner in which to advertise in the Out of Milk app within the United States. According to Progressive Grocer (www.fierceretail.com/operations/43-millennials-use-a-mobile-app-to-grocery-shop), 43% of millennials use a mobile app when they grocery shop. The AdAdapted/Out of Milk partnership brings a real opportunity for CPGs to reach these consumers as they are on their mobile devices and in a grocery shopping state-of-mind. AdAdapted is the number one add-to-list mobile advertising and insights solution for CPG brands and the agencies that represent CPG brands. AdAdapted offers CPG brands the ability to directly target their primary consumers in the apps they use to plan and shop. AdAdapted’s platform places CPG brands in front of consumers with native, non-disruptive ads at the exact moment of decision-making, targeting consumers with laser-like efficiency and getting products on digital shopping lists. Out of Milk is one of the most popular shopping list apps in the United States with almost 10 million downloads, 25 million shopping lists created, and a 4.6 rating on the Play Store. Out of Milk is available for both Android and iOS and includes voice recognition and seamless integrations with Amazon Echo and Google Home. Out of Milk is considered the number one shopping list app for Android and is the most sophisticated yet easy-to-use shopping list experience on iOS today.